Bedside manner is huge in the healthcare industry, but some healthcare marketers simply don’t have it. They may call at inconvenient times, rely on outdated websites, lack useful online content for patients, or use disruptive marketing techniques to get your attention. All those pitfalls can be avoided with help from HubSpot. HubSpot is an all-in-one inbound marketing platform designed to assist with attracting and acquiring new patients while retaining and engaging existing patients. Healthcare marketers can use HubSpot to improve their bedside manner as well as their overall marketing results. 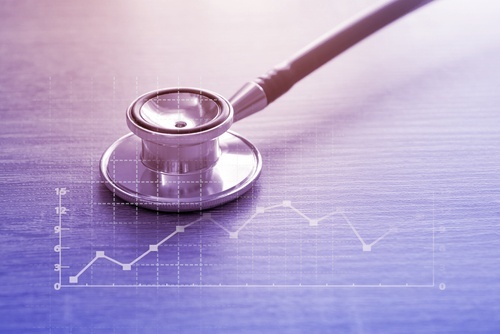 Along with its hundreds of features and tools, HubSpot helps with the integral activities of establishing a content strategy, reporting, and marketing automation for healthcare organizations. Content strategy has evolved, involving much more than choosing a few strategic healthcare-related keywords to populate your text. HubSpot is equipped with the marketing tools you need to generate more qualified traffic, amp up your SEO and track your content’s ROI. Modern search engines look for useful content organized by topics rather than keywords, making it essential to find and ultimately dominate the topics that matter most to you and your patients. HubSpot’s content strategy tools not only review your site to suggest topics, but they also help you organize and create clusters of blog content and web pages around them. One more plus is HubSpot’s ability to keep the real audience in mind. While your content strategy’s organization may be geared toward search engines, the content itself needs to be geared toward prospective patients and clients. We mentioned tracking your content’s ROI, which is where HubSpot’s reporting tools come in. You can measure each topic cluster’s results in terms of generating qualified traffic, new contacts and patients – and just about anything else you feel like measuring. Upgrade to the reporting add-on and you can create dozens of custom dashboards. Develop easy-to-digest, customizable reports that provide insights on what is and isn't working with your inbound marketing strategy. Get a head start using report templates, or generate the entire report from scratch using the platform’s lineup of charts and graphics. Tracking your sales funnels and monitoring engagement are just as straightforward with the platform’s reporting tools. Discover which marketing assets are netting the top results. Keep tabs on social media brand mentions and relevant conversations, with engagements tracked automatically. Marketing automation consists of automating certain marketing activities to save time and fine-tune results, but not all automation is effective. Unlike many marketing automation programs focused only on middle-of-the-funnel nurturing triggered by a limited number of activities, HubSpot’s automation touches on all areas of your sales funnel and uses all information related to each prospect. HubSpot’s Workflows App lets you build out personalized, automated email workflows that are triggered by specific actions or attributes. These can include viewing a certain web page, hitting a specified number of page views, clicking an email or social media link, or even particular contact properties. Lead nurturing for marketing and sales is still on the list, but you get the benefit of triggering actions based on context rather than a lead’s singular action. HubSpot collects behavioral input from multiple channels, with marketing messages sent out using those same channels. As your all-in-one marketing solution, HubSpot goes both wider and deeper than other marketing software. You’re armed with all the tools you need for a successful inbound marketing strategy, along with reporting tools and automation options that let you engage with prospective and existing patients in ways that matter most. Start with a site developed or revamped by a healthcare website design company, add HubSpot to the mix, and watch the results roll in. Get a jump start on effective marketing for acquiring and retaining patients with our free guide: Understanding the Digital Patient’s Journey.